I'm watching the College World Series championship game between Virginia and Vanderbilt. GO HOOS! A-C-C! (I really like ESPN's umpire cam and mic.) 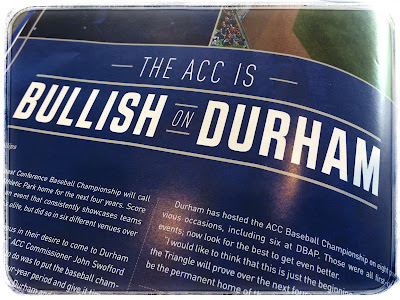 I will probably be in the recliner for close to four hours; this is the perfect time to blog about the ACC Baseball Championship held last month in Durham. 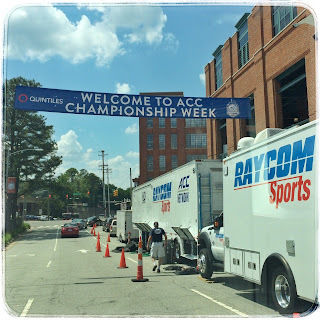 We had a post-event download last week with the ACC office and Triangle Sports Commission. Asked about the field and facility, 90% of the visiting players rated the DBAP very good to excellent. Appearance and the custom ACC decor were deemed very good to excellent by 91% of the respondents. 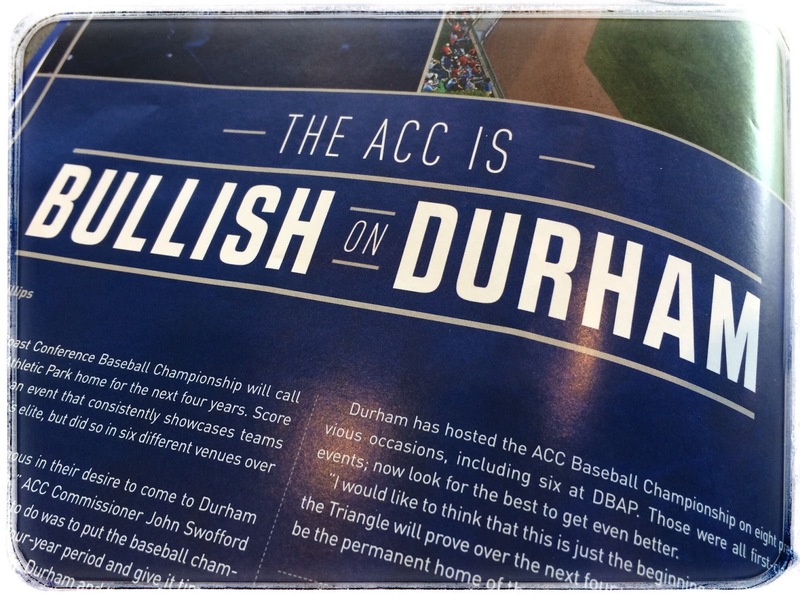 The media's take on Durham is important to us. The games were on TV from coast to coast and close to 200 reporters, bloggers and technicians were credentialed. Asked to rate the Durham Bulls Athletic Park as a host site, 80% of the media respondents gave us a very good to excellent score. According to the Durham Convention and Visitors Bureau, hotel occupancy was up 13% during the tournament, lodging revenue rose 25%. What a fantastic event for Durham. Thank you for bringing this to Durham and putting on such a first class event. In the American Tobacco Historic District, our restaurants saw a 15-20% bump in biz. One eatery reported a 30% increase. 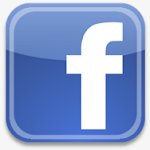 ...an amazing event. 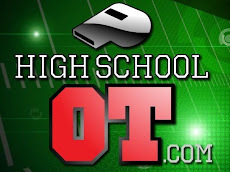 We received a lot of exposure from national sports writers and ESPN. 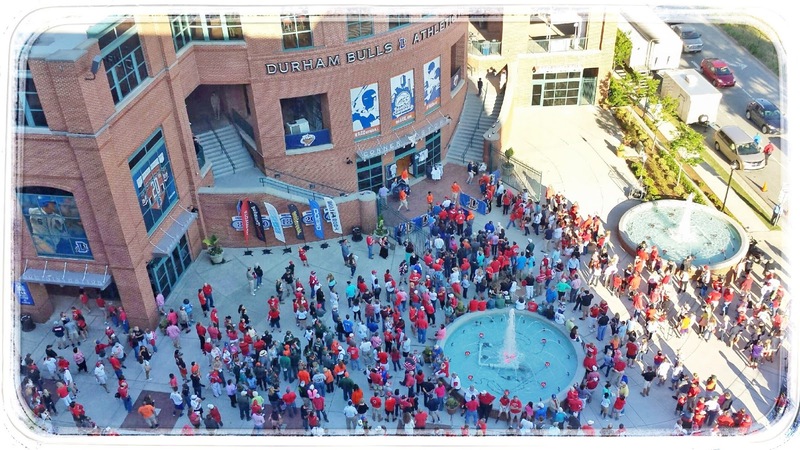 Total attendance was 64,140 compared to 57K in Greensboro last year and 58K at Durham in 2013.